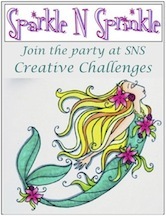 Welcome to the Sparkle and Sprinkle World Animal Day Blog Hop! 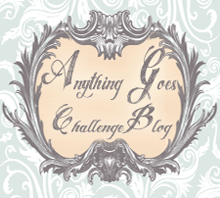 If you arrived here by way of Patti White's blog, you are in the right place. 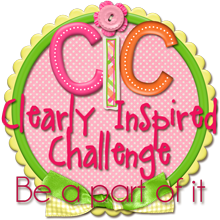 If you didn't get here that way, you might want to start at the beginning at the Sparkle and Sprinkle Blog. 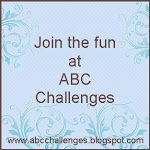 That's where you'll find all the important info, like prizes and blog addresses. 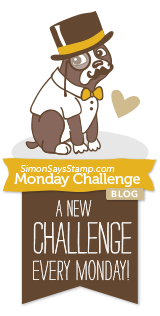 Animals are part of our world- - -whether you have pets as members of your family or you just love the animals that live on this planet with us! For my card inspiration I chose Ginger, the giraffe from the Critters Stamp Set 275. Ginger has so much personality and would bring a smile anyone's face. This was a pretty straight forward card for the most part. I die cut the shape four times--twice with silver card stock, once with white card stock and once with tag board. Then I embossed the white piece using Plum Wine Embossing Powder EP376. 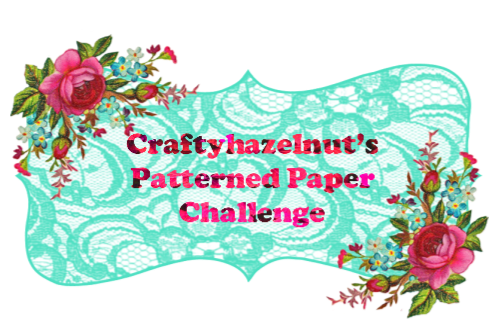 For the main image, I embossed the tag board with Plum Wine, but it has to be done approx. four times until the embossing powder becomes puddled, then using silver metallic pigment ink stamp Ginger into it. The silver pigment ink will take quite a while to dry, so let it stay overnight before assembling the card. Then, I used the plastic bag from a ham/turkey to cover the purple card stock to add a little interest. Full directions can be viewed here. If you are ready to continue on your safari, the next stop is at the talented Barbara Bruder's Blog. You'll find some more great ideas there! 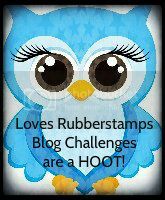 And don't forget to leave comments on everyone's blog to qualify for the prizes! As always, thank you for taking the time to stop by! Ginger is so cute in her purple mode, Sandy! Love that the layers are colored with EP, creating such an unusual coloring medium. Ginger has never been happier. Thank you for making such a beautiful card! Great minds think alike - I used Ginger too! Love what did with your card and love the recycling touch! I love the color and the creative use of the products to create this effect! 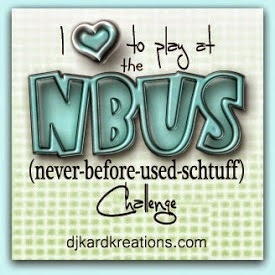 It's new to me, so I will have to give it a try...LOVE the background made with the mesh! Sandy,Sandy,Sandy what a neat card. Great background texture with the netting. Love the puddled embossing powder. The colors you chose are great. Love your purple giraffe card. I'm so glad you didn't say you have a giraffe for a pet! Sandy, you are a woman after my own heart. I love purple. Your technique is awesome. Like the different techniques you used for all the layering - especially the netting for the background. Perfect card for a man. Ginger is adorable. I love a cute giraffe and you've made this one precious in purple. Very well done,Sandy! 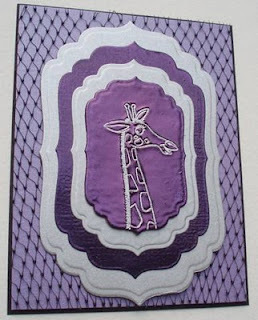 I love the shades of purple and how you stamped the giraffe. This is really cute and wait to try it. Supper cute. 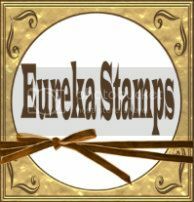 I love the spellbinders dies you used and love the color you have used. Love the Giraffe. thanks for sharing and for the chance to win. Your Ginger card made me tear up and smile at the same time. My Dad - who loved giraffes - recently died. He always used to say 'Giraffes are God's gift to man - they serve no earthly purpose except for man's enjoyment'. 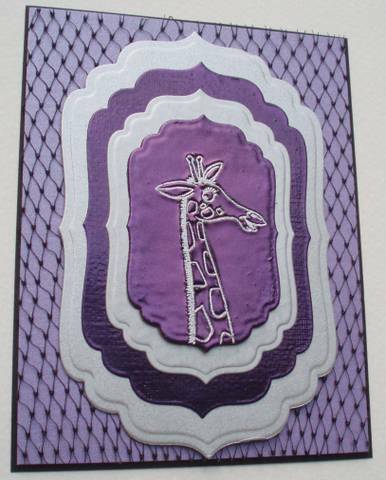 And your purple giraffe card is certainly one to be enjoyed! How pretty! I love the way you did that purple layer before you stamped that cute giraffe! I love giraffes & purple is my favorite color. What a clever idea to use that plastic bag from a ham or turkey. I generally just throw them away. I never would have realized that was the sack for veggies on your card, that is so darn creative! What a great technique! Will have to try that soon! LOVE the purple and the netting! What a great idea! The giraffe is so cute. Your colours amd layering is great. that you used a ham cover, I just had to laugh. However, that cover really gave the card pizzazz. I really lie the purple for this card. I would have never thought of that but it looks cool. And I love the ham mesh net for the background, awesome!!! Really unique card Sandy! Add me to the list - love that background! And stamping into the EP "puddle" really looks great! Ginger is adorable and so is your card. I like the technique you used to emboss Ginger into the cardstock. I think your addition of the mesh bag is great! I need to try that! Interesting use of color - love to see a beautiful purple giraffe! Sandy, your giraffe is so cute. 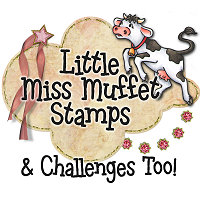 I don't know if I'd have the patience to create the background for the stamp, but it's really striking. Thanks for sharing. Nothing cuter than a purple giraffe!! I love giraffe images actually, they always look so stately. Saw a couple of real ones last month at the zoo and am always so intrigued at their amazing height! Wonderful card with great techniques! I love your use of the mesh bag. I love the bag layering. What a great resource for going outside the box( or bag). The card is perfect to showcase the long necked giraffe. My favorite animal, the Giraffe. Fabulous card, Sandy!! Love the instructions for stamping the giraffe. Thanks. The plastic netting looks great! What a wonderful use of die cuts. The embossed giraffe really stick out on the texture of the top layer. beautiful! Sorry I am late commenting. Love your card and all the layers and embossing. This is a GREAT card.. love it!